In Assassins Creed, gamers play as the protagonist in these action adventure games, stealthily scaling buildings in alternate versions of historic cities. The hero of the first game, Desmond Miles, is kidnapped by the modern day face of the Knights Templar, connected to a device called the Animus, and relives the memories of his Assassin ancestors. At Superheroes Direct, we help gamers relive their adventures as Assassins of the past through our selection of complete costumes and costume pieces, while our collectible Assassins Creed POP figures features many members of the growing cast of characters. 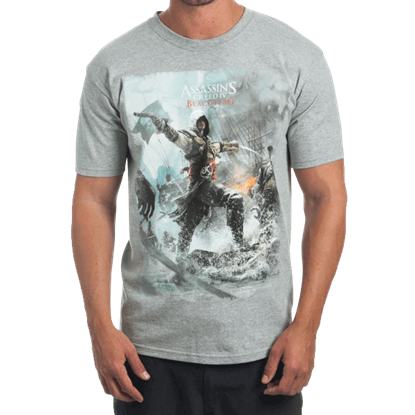 The perfect way to show your love for Assassins Creed on a casual basis, our t-shirts feature logos from many games, from the first Assassins Creed to the latest release, Assassins Creed Syndicate. For accessories, keychains, collectibles, and more, keep checking the Assassins Creed section at Superheroes Direct. Are you a fan of the Assassins Creed video games? If so, then you will not want to miss out on this fun, officially licensed collectible. 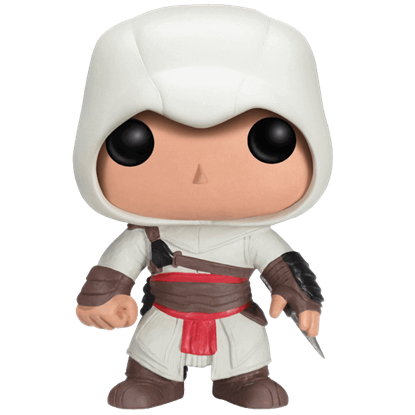 The Assassins Creed Altair POP Figure depicts the character Altair in chibi form. 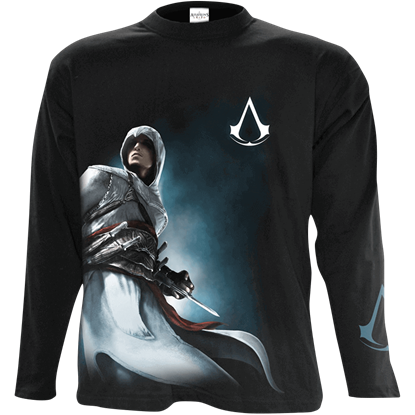 Prepare to go into stealth mode, and be comfortably styled while doing so, with the Assassins Creed Altair Side Print Long Sleeve T-Shirt. Is there really a better way to kick back and relax during another playthrough of the series? Slipping out from the shadows, assassin Evie Frye plans each mission carefully, wielding her cane-sword as a hidden weapon in Victorian London. 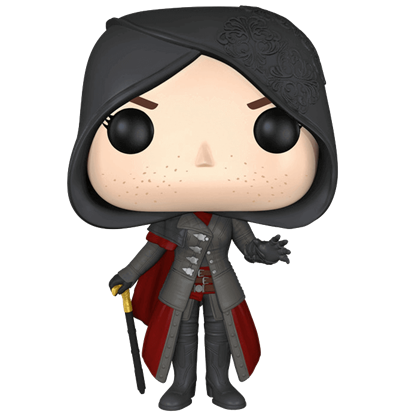 The Assassins Creed Evie Frye POP Figure makes a fantastic collectible for fans. 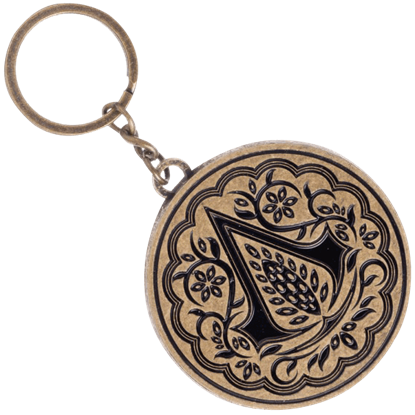 Based on the imagery from the 2016 action adventure film starring Michael Fassbender, this Assassins Creed Film Keychain displays the emblem of the Assassins Order in black within a design of flowering vines and a scalloped border. Displayed on banners, stitched onto clothing, and even tattooed onto its members, the insignia of the Assassins Order is easily recognizable. 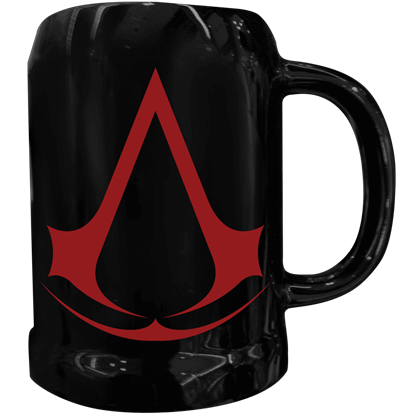 This Assassins Creed Insignia Tankard makes a great gift for fans of the video game series. Gamers who admire the style of the British Assassin, Edward Kenway, can follow his lead without forsaking the modern comfort of a cotton tee. 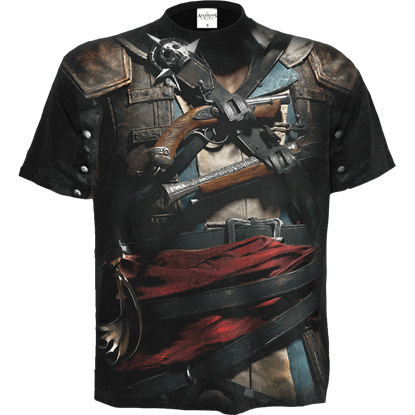 The Assassins Creed IV Black Flag Allover Edward Uniform T-Shirt makes it easy to do so. 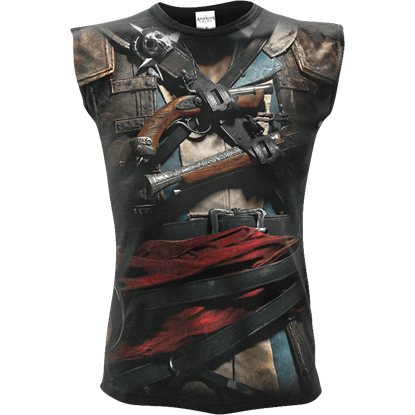 Thanks to the Assassins Creed IV Black Flag Edward Sleeveless T-Shirt, there is no need to let the summer heat prevent you from styling it up like an 18th century British assassin. You will appreciate the comfortable fit of this tank. If you admire the style of the British Assassin, Edward Kenway, but prefer the comfort and fit of a modern tee then check this out. 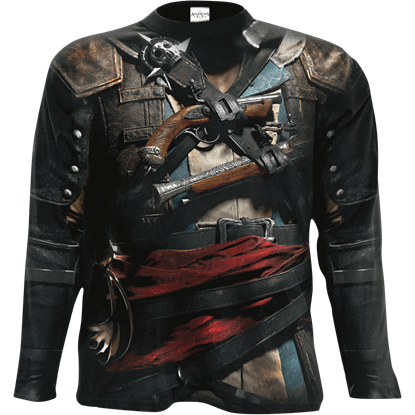 The Assassins Creed IV Black Flag Edward Uniform Long Sleeve T-Shirt combines the best of both looks. Life on the high seas is not easy, as pirate Edward Kenway will no doubt tell you. It is especially difficult when you are an assassin! The Assassins Creed IV Black Flag Game T-Shirt celebrates the video game series. The Assassins Creed saga continues with another of Desmond Miles descendants, Edward Kenway. 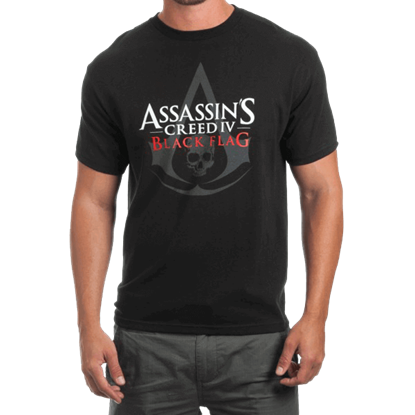 The Assassins Creed IV Black Flag T-Shirt carries the iconic logo of the Assassins order, modified for the distinctive pirate style. A reckless brawler, Jacob Frye chafes under the restrictions of the Assassin way, preferring proactive tactics and having fun. 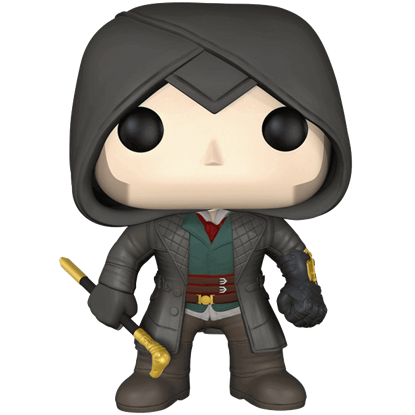 The Assassins Creed Jacob Frye POP Figure makes a fantastic collectible for fans of the game franchise. Part of the Spanish Brotherhood of Assassins, Aguilar appears in the 2016 Assassins Creed movie. 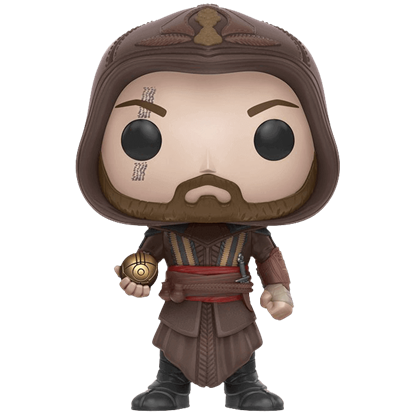 Fans of this character can enjoy a fun, stylized take on the 15th century assassin with the Assassins Creed Movie Aguilar POP Figure.